If you’ve ever dreamt about just quitting your job and moving to some farm in the midwest, look no further than ABC’s new comedy Bless This Mess to see what that reality could look like. 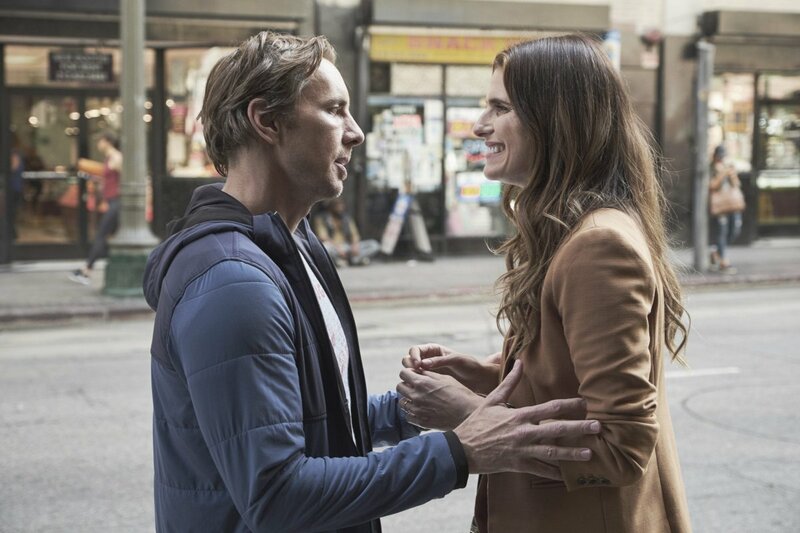 Dax Shepard and Lake Bell team up for this new comedy that follows two New York newlyweds named Rio and Mike who drop everything to make the move to rural Nebraska in search of a simpler life. Of course, that all may sound like the American dream, but once they arrive they quickly realize that farm life isn’t just throwing on a cowboy hat and a tool belt. So, is Bless This Mess worth your time? The answer is yes and here are our top five reasons why. 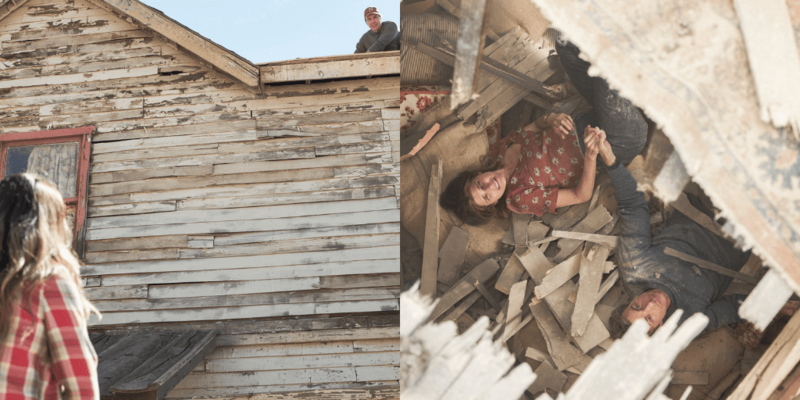 While watching the credits for Bless This Mess, audiences may recognize a familiar name in Elizabeth Meriweather, who serves as a co-creator alongside series star Lake Bell. For those who aren’t familiar with Meriweather, she was the brains behinds the beloved and feel-good ensemble comedy New Girl, which ran for seven years on Fox. If there’s one thing that Meriweather knows how to do pretty damn well, it’s to create a special home base where a group of characters can interact and grow together and that’s exactly what Bless This Mess has going for it as well. Plus, you add in the brilliant mind of Lake Bell who wrote, directed and starred in In a World, and you’ve got a home run. Bless This Mess is absolutely one of those series where the setting is just as big of a character as any of the actors. The Nebraska house that Mike inherits is reminiscent of The Money Pit, and one that I am looking forward to learning more about as the pair begins their attempts to fix it up. Not only will this one house and the farm surrounding it provide an abundance of stories for the series, but the juxtaposition of Nebraska life vs. New York life sets up an array of comedic culture shock for Mike and Rio. The limited setting allows for Bless This Mess to really focus in on the characters and the story at hand, rather than constantly having to introduce new places and people. The table is set perfectly and now all we need to do is prepare for each meal. One of the most enjoyable experiences of watching the pilot of Bless This Mess is getting to know the merry band of characters orbiting around Mike and Rio’s alfalfa farming adventure. With names like David Koechner (Anchorman), Ed Begley Jr. (St. Elsewhere), Pam Grier (Jackie Brown), Susie Essman (Curb Your Enthusiasm), and Lennon Parham (Best Friends Forever), Bless This Mess has managed to put together one of the best supporting casts I’ve seen in a while. Grier shines as both the town sheriff and local store owner while Begley Jr. takes on the unusual character of Rudy with comfortable ease. 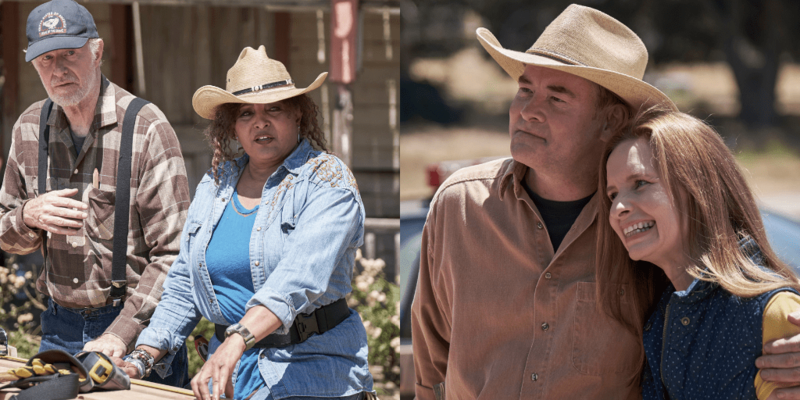 Koechner and Parham bring some fun stakes to the table as a couple trying to convince Mike and Rio to sell the farm to them, and Essman pops in occasionally as Rio’s overbearing power-mom. They’re all hilarious and special on their own with Mike and Rio, but truly shine when interacting with each other. Diving right into playing a couple can be tough. How do you make audiences believe that these two characters are in love right off the bat when a lot of times the actors just met? While some shows struggle with this, Bless This Mess found the perfect dynamic duo in Dax Shepard and Lake Bell. As Rio and Mike, two New York fish completely out of water in Nebraska, the pair click immediately and consistently bounce off of each other like champions. They’re quirky, witty, and frankly, a match made in comedic TV heaven. You’re most likely a fan of them both separately, but when they’re on screen together just riffing off each other, there’s this electricity surrounding them that reassures you you’re getting the absolute best. It’s going to be wonderful watching their characters grow as a couple throughout the season as Bell and Shepard begin to really figure out just who Mike and Rio are. “The best kind of love ain’t happy. The best kind of love is honest.” That’s just one of the many lessons we are likely to get as Mike and Rio navigate their new life as Nebraskan farmers. You see, Bless This Mess is, by all means, a comedy, but similar to the style of New Girl, it grounds itself with heart. The pilot’s closing moments are sure to give you that warm and fuzzy feeling you may not be expecting from a comedy, and that’s why the show works. It’s silly and fun, but it also feels real and down to earth at the flip of a coin. It’s clear that Mike and Rio are on the cusp of creating their own little pocket of the world as they become a part of the community and bring that mess of a house to life, and I for one recommend that everyone go along with their journey. Bless This Mess premieres this Tuesday at 9:30/8:30c on ABC! Be sure to tune in! Check out the full trailer below.